After a successful launch of its new home NUMA which welcomed 8,000 people last week, yesterday Silicon Sentier launched the new class of its accelerator program Le Camping, which is already on its 5th season. During the introduction, Silicon Sentier president Adrien Schmidt, spoke about how in its early years, many startups entering Le Camping came with ideas / concepts rather than actual companies. 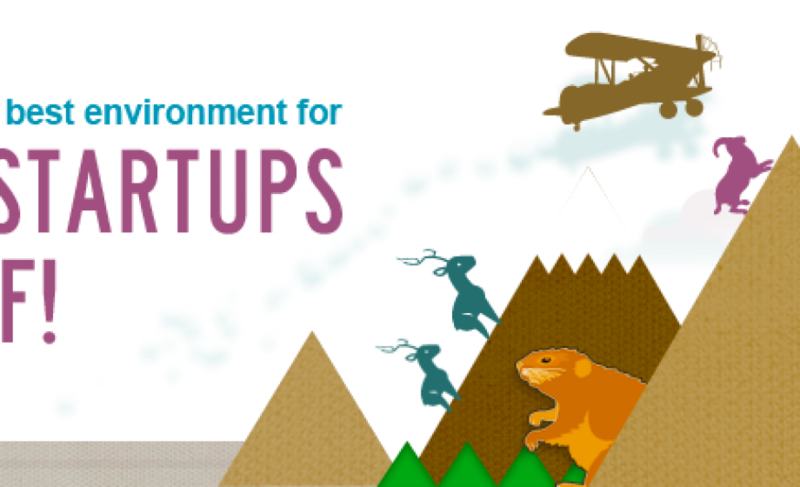 While many of the startups this season will likely pivot during their Le Camping experience, it’s clear that Le Camping has grown over the years as many of the startups now joining have, at the very least, an actual prototype or launched beta. In addition, this season’s class is quite diverse in terms of the sectors it touches, as the range of startups this go around are tackling everything from concerts to big data to agriculture. There does, however, seem to be more of a focus on B-to-B vs previous season. Agriconomie: One of the very important areas of France’s economy that could use quite a bit of disruption is the agricultural sector. Agriconomie is looking to shake up the agricultural world by creating the first marketplace focusing on buyers and sellers in the farming sector. Interestingly, Agriconomie shared that 81% of farmers are now online everyday, 22% via smartphone. So, this may be a chance to extend farmers’ use of tech in their personal lives into their business buying process and daily operations as well. Artips: Artips focus on sending daily anecdotes about art which can be read in 1 minute only. The focus here is bringing together content and mobility to make art history more accessible to all. Although the founders spoke quite a bit about individual use as well as their several burgeoning partnerships with museums, artists and galleries, I would think that education / learning would be one of the biggest areas of opportunity for them. Bandsquare: With an initial focus on jazz and soul and a beta launched last week, BandSquare enable emerging artists to perform based on a crowdfunding model. More specifically, if enough people book a concert then the concert is confirmed. In their intro, the founders stressed that building the community and expanding to new genres and geographies will be a key focus for them. Hublo: There are a lot of Big Data startups around and none of them have yet seemed to have delivered the Big Data ‘killer app.’ Le Camping, which has spawned other Big Data up-and-comers such as qunb have a few in this year’s class. The first is Hublo, who aim to enable marketers to circumvent the expensive experts and consultants often used to gather and analyze consumer data by enabling marketers to easily collect and analyze vital consumer, customer and market data on their own. As this is a classic and on-going problem for marketers, this clearly works to Hublo’s advantage. Localeyes: Continuing on the Big Data theme, however this time with more on the data collection side of things, LocalEyes allows individuals to earn money by providing local information and performing simple tasks for businesses. So, essentially the primary focus will be on incentivizing individuals to be the eyes and ears on the ground, offering companies crowdsourced feedback on how their marketing and sales campaigns are performing in-store. Qleek (name of startup Ozenge): One of two connected hardware / device startups, Ozenge’s product Qleek gives users’ digital lives ‘physical existence’ through a device which enables them to access content (videos, music, etc) without turning their computer on. Assuming all goes well, they’re planning on shipping their first device by end 2014. Realytics: Another Big Data startup, Realytics is an analytics platform that seeks to enable business to access real-time user data and analytics which, versus other similar data and analysis solutions on the market, is more precise and less expensive. StreamRoot: Poor viewing experiences on streaming sites seems to be a chronic problem wherever you are. Ultimately, StreamRoot seeks to reduce cost for the streaming company and minimize the, often, painful viewing experience for the end user without requiring them to download and install anything. Although streaming sites can sometimes come under fire (for legal and other reasons), it’s evident these sites are in high demand and that the poor viewing experience is a problem for many. Taketracker: Describing themselves as “Google doc for videos”, the team pretty much summed up what they are planning to do. Their takes.io solution seeks to offer a new way for both sharing and reviewing visual elements involved in audiovisual production. TasteHit: With an ecommerce sector that has grown into a formidable force in recent years, France has produced some solid ecommerce services companies such as Lengow and Rentabiliweb. TasteHit, a SaaS product recommentation engine for online shops, seeks to offer value to ecommerce vendors by increasing the focus on discovery and, ultimately, purchase conversion through more powerful predictive analytics. Indy (name of startup Trcksy): The second connected device / hardware start-up this season is Indy which, as the founders stated, will essentially be the ‘Nike + for skateboarders’. So, basically, with Indy, skateboarders can now track their success (or lack there of) and publish it via social media. Tripndrive: The only sharing economy startup this year, Tripndrive offers free parking at the airport to travelers who will rent out their cars to other travelers arriving at the same airport. As we covered earlier this week, the sharing economy is an ever evolving space, which faces increasingly complex challenges, all of which the Tripndrive team will obviously attempt to tackle head-on over the next 6 months.